Well who doesn't love a four day weekend? It's a good excuse to be with family and eat too much. Thank goodness Easter comes but once a year then. 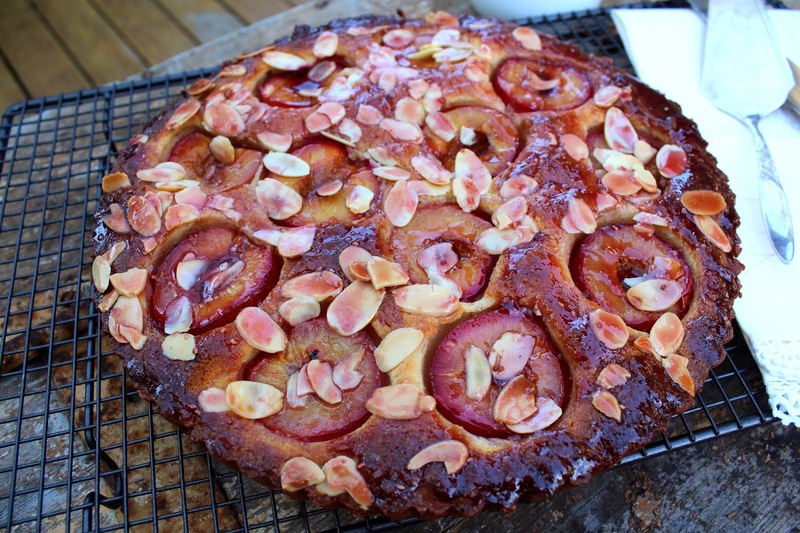 Part of my contribution to our very enjoyable family BBQ, was this Easy Fruit Tart Without Pastry. It was not too sweet and beautifully moist and buttery. Even if you are not a baker, this one is very simple because there is no fussing with pastry. All that is required is some mixing, spooning into a flan tin and poking in some fruit. What could be easier? 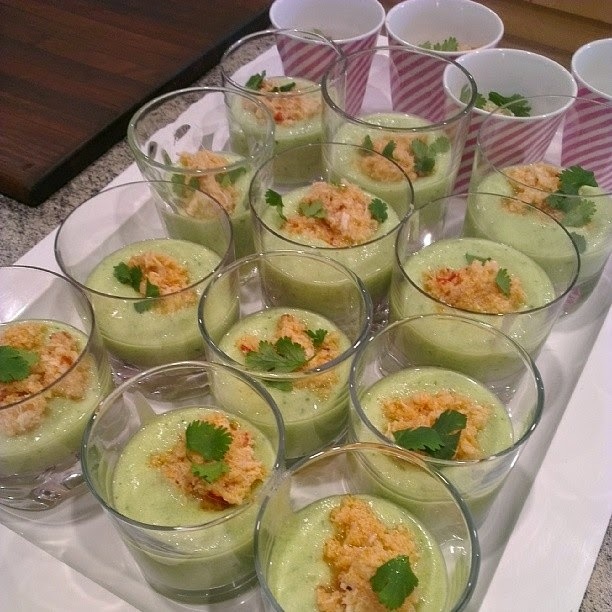 Also on the menu was chilled cucumber and avocado soup with coconut chill crab. It was simply divine and I think I garnered enough info from my sister in law, to try this in my own kitchen, some time soon. My brother in law was instrumental in the opening and closing ceremony at the Athens games in 2004 and accordingly, resided in Greece for many months prior to that. Suffice to say he loves to cook a bit of Greek cuisine and it is always fabulous. 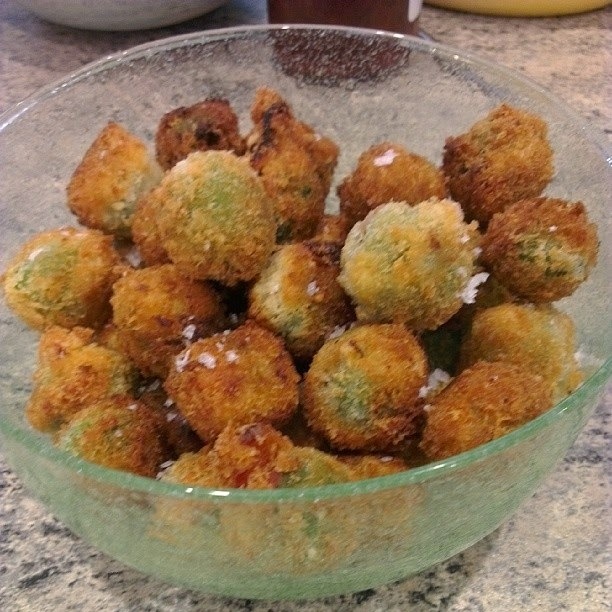 On our Easter menu this year, were these deep fried green olives and we also had Greek BBQ lamb and potatoes to go with the salads. Of course by then, I was too far into the party to bother photographing it. 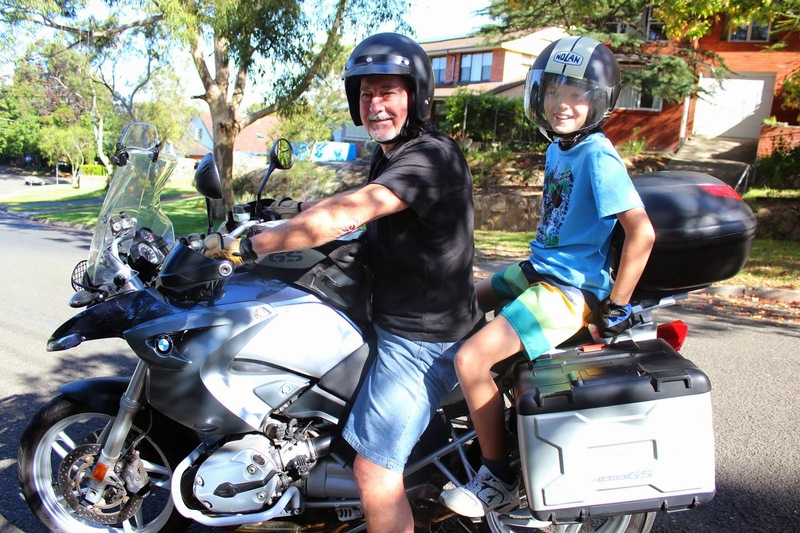 In between the cooking extravaganza, he took the younger cousins on joy rides throughout the neighbourhood. Everyone needs an uncle Kev, don't they? This kid loved it..........Me, not so much. Another highlight for me was having the opportunity to roll, out my vintage plastic cake caddy, picked up for a song at the Red Cross shop. Very handy for transporting cakes and now worth the fact it has been shunted around my bench top for 6 months, waiting to find a spot all of its own in the cupboard. 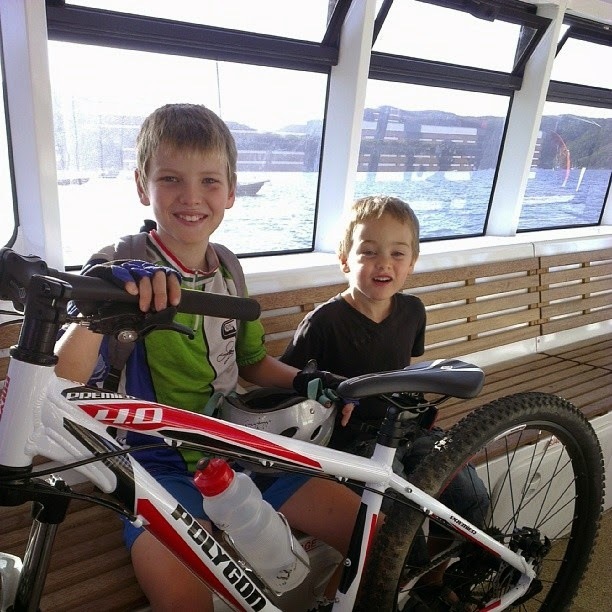 The other themes of our Easter weekend appeared to be bush walking and bike riding. We have tried holidaying and even dining out in our own region at Easter and have always found it to be a complete bun fight. So we tend to do things that don't involve crowds during the Easter weekend. Oh the serenity of walking along the valley floor. 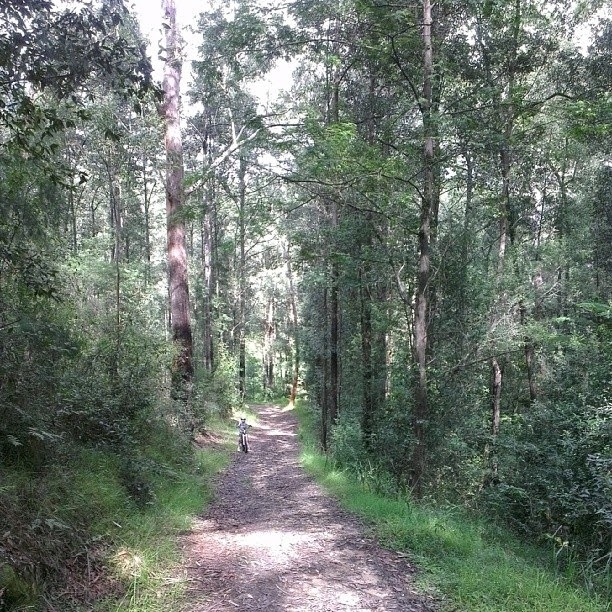 This is the Lane Cove River Valley and is part of the Great North Walk, located at the end of the street, where I grew up. It's all just 35 minutes from the Sydney CBD. It is quite surreal and we are very lucky to have access to such beauty and peace, so close to the city. No doubt the developers will try and get their greedy hands on it, as they have recently done with the other end of my mum's street. 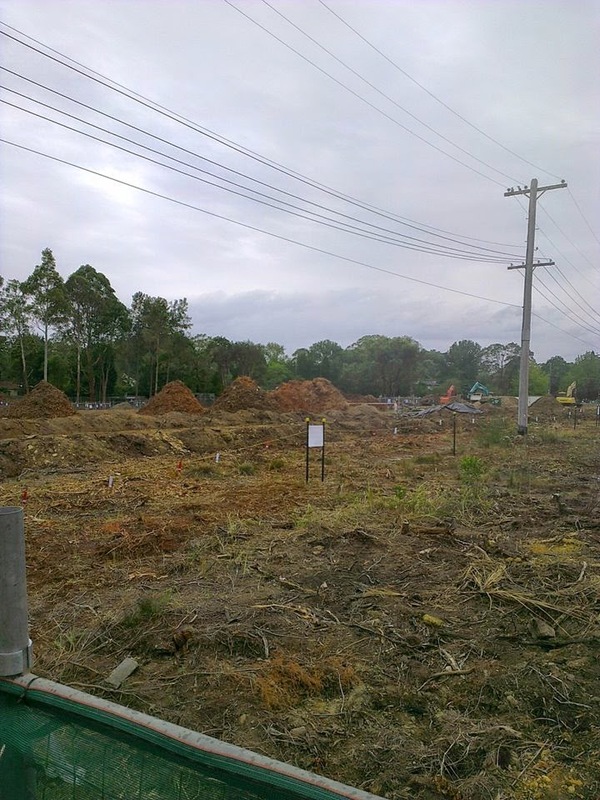 You can't fight city hall, but isn't it interesting that you are not allowed to cut down anything without council permission, but when they want to raze several hectares of bush land to create 25 million dollar plus blocks of land for sale, the developers seem to be able to do so with ease. We also picnicked on Scotland Island and ate way too much chocolate. 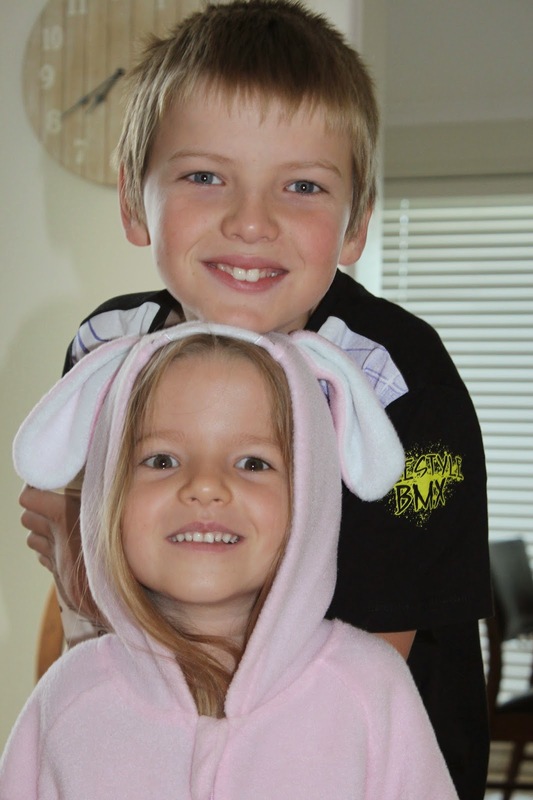 Someone has been desperate to get her hands on a onesy and thankfully the Easter Bunny put that one to bed this season. Phew. So without further ado, I give you the easiest and yummiest tart in my repertoire right now. Beat butter, sugar,eggs, almond meal, flour, vanilla extract in a bowl, until combined. Spoon mixture evenly into greased tin. Poke fruit evenly into the tart mixture. Melt jam in a saucepan with 2 tablespoons of water, over a moderate heat. Brush mixture over the warm tart to glaze. Allow to cool in the tin for 15 minutes. Gently remove tart from the tin by pushing up through the centre of the flan. Leave base in place if it is too difficult to remove before serving. For all my other easy sweet treats go here. Wow! I'm impressed!With your brother-in-law!The 2004 Olympic ceremony was one of the best ever!So congrats to him for being a part of it!AriadnefromGreece! Yes it really was fabulous wasn't it? Looks like you had a fantastic Easter break. Those chilled soups are something I'd make too, yummo! Yes and you'd probably make a much better show of it than me. If I get it right, I'll post the recipe. Yes he is rather creative and it's lovely to be the recipient of it. Thanks re the tart. 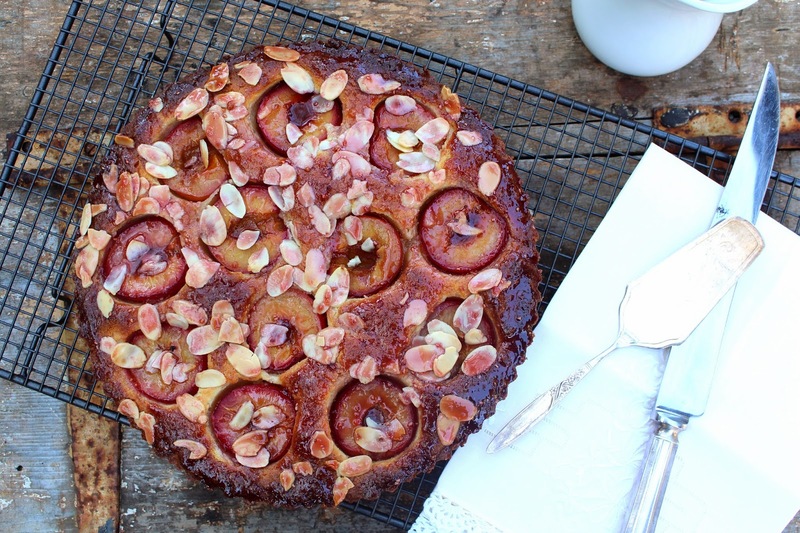 Love the tart recioe will give it a go, like so many others on your site! 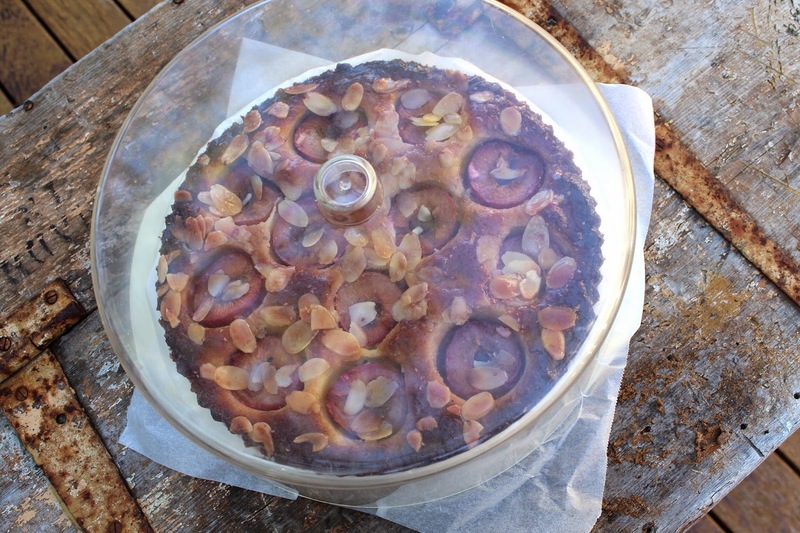 Great looking tart will def give it a go, like others you have had on your site! It is a gorgeous spot and I get such a shock everytime I turn down the hill towards mums. I grew up with Stephanie who kept her horses there as a teenager. We had some great times there. In the 1970 we used to have big community bonfires there for cracker night. So much fun but now just urban sprawl. I hope the houses are tastefully built. PS glad you have tried a few of the recipes. 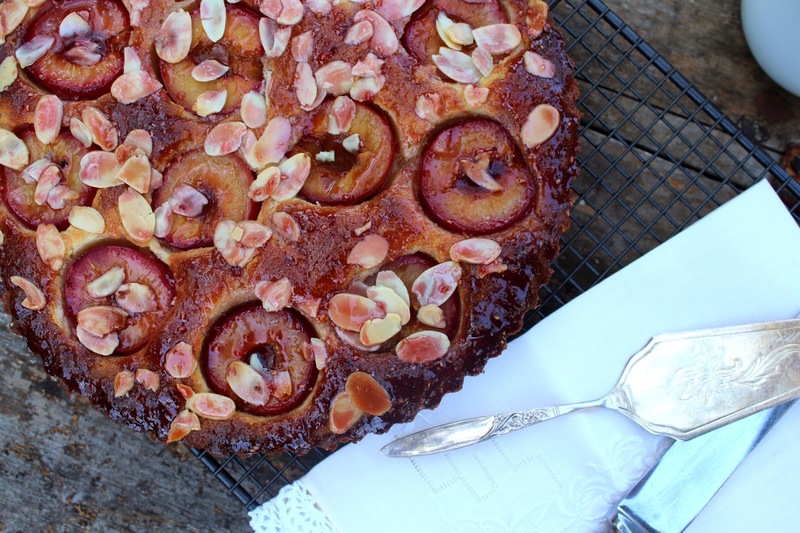 I am so making that tart, it looks divine. And wat a lovely long weekend you had, we've been blessed with such good weather lately and nothing better than getting out and about. Top post. Looks like you had an extremely busy but fun Easter weekend, Carolyn! You had me at chilled cucumber and avocado soup with coconut chill crab. Can I get your sister in law to come around to mine? It looks so so delicious.Such a fabulous Easter break and its a awesome place. I am so glad to find this blog.